Summertime - Patent my French! It is this time of year when some readers of this blog may still be enjoying what is left of the summer, albeit the back-to-work frenzy is looming – and is in fact already upon a number of us. What we need in such a moment of transition is probably a gentle reintroduction to the delights and torment of patent law. Matthieu Dhenne, attorney at law at Cabinet Schertenleib offers us just that, as he kindly accepted to share some comments with us regarding two decisions recently discussed on the blog. 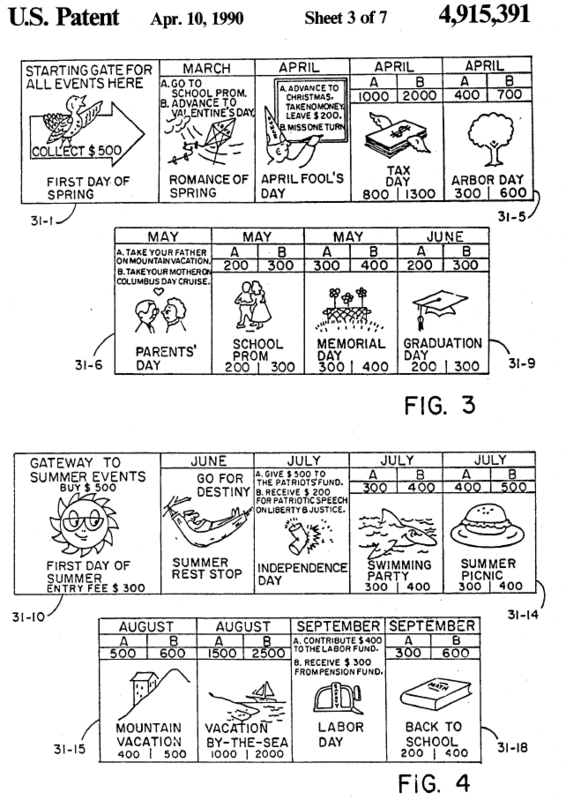 The typical year of a patent attorney. The first decision is B/E Aerospace Inc. & B/E Aerospace Systems GmbH v. Zodiac Aerotechnics, reported here. At stake is the hotly debated question of the limitation period for patent nullity actions in France. I may have already mentioned that the recent case law on this issue has drawn a lot of criticisms. It turns out that Matthieu is one of the vocal critics of the new trend. The Paris Tribunal de grande instance states (once again) that the limitation period under ordinary law (i.e. 5 years) applies to an action for patent revocation. It is an error of law. Two brief explanations hereafter. First, it does not comply with article 2224 of the Code civil. Article 2224 provides a limitation period for both actions in personam and actions in rem. Yet the action for patent revocation is neither one nor the other. It is not based on a debt obligation (action in personam), nor on a thing (action in rem). It is based on the defense of free competition. In this regard, we should remind that a patent right, as an exclusivity to operate an invention during a certain period of time, constitutes an exception to free competition. Therefore, as an exception, this right is only justified for patentable inventions. Rather, it is not justified for non-patentable inventions. In other words: the purpose of an action for revocation is mainly to avoid unjustified patents that will negatively affect competition. Then, the purpose of a limitation period does not apply to it. Such a deadline aims at strengthening legal certainty. Thus, a right holder must act within a strict deadline when his right is infringed. Similarly, a right may be created over time, when a defect originally affecting it disappears. For instance, a trademark can acquire distinctiveness through use. However, on the contrary, in patent law, time may only be harmful. An invention which is not novel or inventive at the date of filing will not become novel or inventive afterwards. Rather, one could discover prior art that was not discussed during the examination phase. Eventually, a limitation period in patent nullity suits will only introduce uncertainty. On the one hand, there are still doubts concerning the starting point of the deadline. According to the case law: date of filing, date of grant or date of formal notice. There is no strict trend concerning this question. Besides, in any event, the plaintiff must prove he was unaware of the existence of the patent: the burden of proof is upon the plaintiff. On the other hand, the defect that originally affects the patent right will not disappear over time. To the contrary, one could discover after grant that a patent is void due to prior art which was not discussed during the examination phase. Therefore, legal protection is not needed and thus not justified because it strengthens situations of facts that will never comply with the legal system. Worse: potentially, a patentee will still be able to use a patent against someone else even after it is found to be invalid. The above case law obviously deserves much more comments. But, for now, I think there is an urgent need to stress out the fundamental legal issues at stake, hoping that the Courts will quickly remedy them. Another important decision previously discussed by my partner Aujain Eghbali on this blog is Xaga Network v. Ewalia, in which a patent was revoked because the main claim at stake was held to relate to software as such (the programming activity field not constituting a patentable technical activity), and to actually describe “an abstract scheme which does not offer any technical solution to the application management facilitation problem it pretends to solve since it is not made explicit how the proposed management system effectively helps the user”. Aujain said he was rather impressed by how French judges seem to have taken over the typical EPO reasoning in connection with computer-implemented inventions – even if the legal basis is not the same – as he explained in his post. The Court refers to the “activity of programming” to assess technicity under article 52 EPC. However, only the invention should be technical. The question whether an activity is able (or not) to give birth to an invention exclusively falls under the inventive step assessment under article 56 EPC. The Court states that claim 1 aims at an abstract scheme which is not explained. I think it is interesting to point out that abstraction is opposed to explanation. Two lessons. On the one hand, technicity does not require a transformation of nature (i.e. material production). On the other hand, further explanations in the description could, in fine, justify technicity. In other words: French judges are bringing the requirements of technicity and sufficiency closer together. Eventually, the Court evokes the technical effect requirement. Nonetheless, in doing so, the Court unavoidably evokes a further technical effect, to the extent that any software already produces a first technical effect in the machine (i.e. electric current). Speaking of computer-implemented inventions, those interested in this topic may want to mark their calendars. Indeed, Matthieu is happy to announce that an exciting full-day seminar dedicated to this very topic and put together by the AACEIPI (Association des Anciens du Centre d’Etudes Internationales de la Propriété Intellectuelle) will take place on November 24, 2017, in the prestigious premises of the Cour de cassation. You can inquire about the seminar and register (by November 10) with Aristide Tenan, at at@schertenleib-avocats.com. Several top speakers are announced, including professors, IP judges and last but not least my partner Patrick Trabé. “Summertime, and the livin’ is easy” – this will just be a memory by the time the seminar kicks off. A belated happy August to all readers! A look at the UPC Agreement may bring fuel to Matthieu Dhenne’s argument on whether a statute of limitation should apply to patent revocation actions. The UPCA considers limitations only in the case of “actions relating to all forms of financial compensation” (art. 72). UPC-land has no Civil Code and no article 2224. So it seems that in UPC times it will be possible to request revocation of an EP patent regardless of timing. The French discussions on legitimate interest to sue may also vanish in future patent revocation actions (or depend on plaintiff’s nationality under art. 47(6)??). Pingback: Will time tell? - Patent my French!